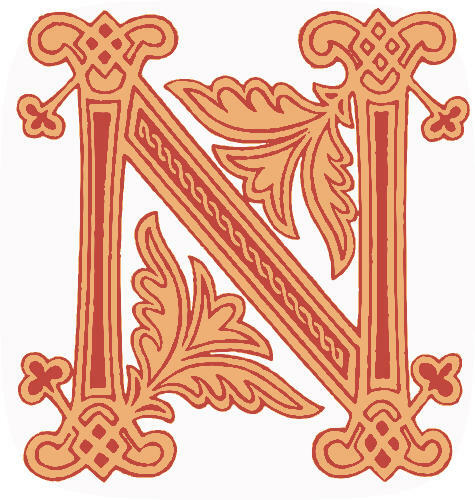 This initial letter N in the Carolingian style was used as a decorative initial for the start of a copy of John’s Gospel (beginning In Principio, or In the beginning; this is the N from “In”). 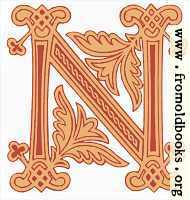 The Gospel here dates from the 8th or 9th century and was associated with the church of St. Pierre in Lie in France. 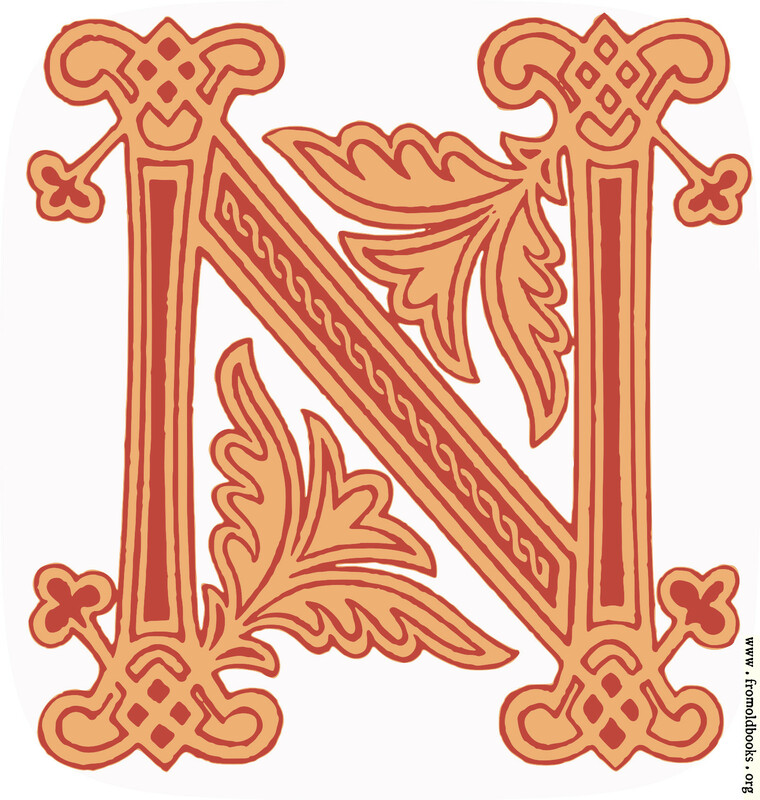 The initial is in red outline with cream in-fill, and has stylized leaves, probably acanthus, as well as Celtic-style knots on the four corners of the N.